Those of us who didn’t get to see him in his playing days probably don’t appreciate just how good this guy was as a player. They talk of Zidane, Cantona, Ronaldinho, but this guy was right up there with them – maybe the best playmaker of the lot. A wonderful dribbler, passer and probably a very handy 5-a-side player too. 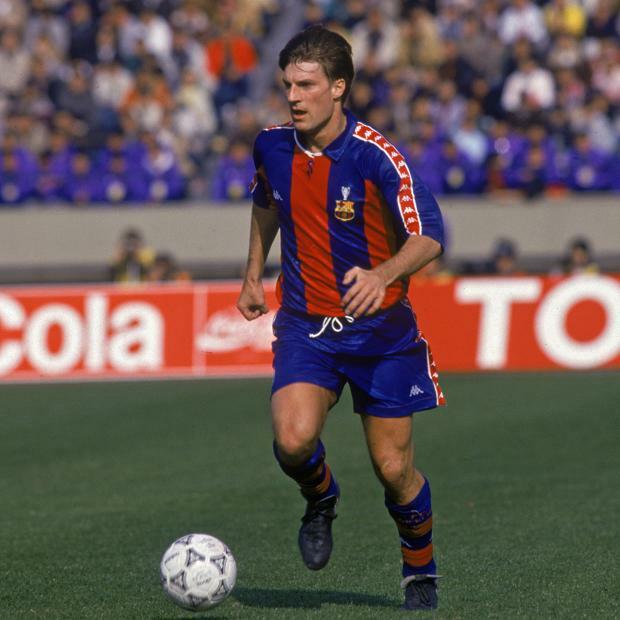 Michael Laudrup is the only man to twice play in 5-0 El Classico victories, once for Barcelona, once for Real Madrid. He transferred between those two mighty clubs and unlike others who’ve done it (think Luis Figo and the pig’s head) he’s still loved by fans of both. The bottom line is that he was brilliant, winning four straight La Liga titles with Barcelona, then a fifth straight title with Real Madrid. Also throw into that list league titles with Ajax and Juventus, as well as being voted the Best Foreign Player in Spanish Football in the 25 years: 1974–1999, and you’re looking at somebody pretty special! The documentary below covers his outstanding career and is well worth a watch. By the way, if you watch it and think that his dribbling is pure silk, then you’ll be interested in checking out Laudrup’s two-touch dribble tutorial.